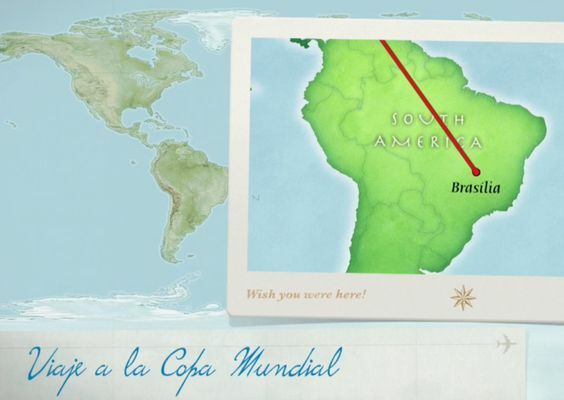 I can't wait to talk about La Copa Mundial in the fall! Ever since I started teaching, I always knew I wanted to have a Spanish class library. I have always been a huge bookworm, and since learning Spanish have always tried to push myself to free read books in Spanish. I know how much this pleasure reading in the target language has personally helped me to build my proficiency and want to give my students that same opportunity. So, I started collecting cheap Spanish books anywhere I could find them: free bilingual books in Cheerios boxes, Target dollar spot Spanish books, second hand stores, markets while abroad, and subscriptions to People en Español using frequent flier miles (mags for miles). I knew I was going to need some money for this project, so last year I started putting together a proposal for a local education grant. Unfortunately, with planning a wedding, sponsoring Spanish club, and assisting with the school play and musical, I never got around to finishing it. So this year I made applying for the grant a priority and had it in within the first month of school, and I got it! With the money I was actually able to begin a substantial classroom library. I purchased a variety of levels and types of books from Amazon, Book source , Books for all Children and tprs sample packs, that arrived while I was on maternity leave. While on maternity leave this winter, there was a great #langchat discussing reading activities in the WL classroom (Summary Here). This chat inspired me to start a silent reading (SSR or FVR) program once I returned with all my new resources. @SraSpanglish (great blog here Sra Spanglish) was nice enough to share her accountability form with me as an example. 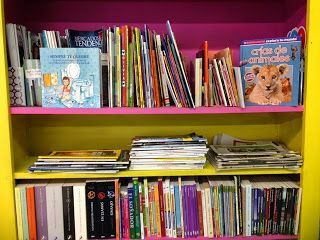 Every Tuesday & Thursday when students enter class they know their "Para Empezar" is to grab a book or magazine from the reading shelf and read silently for about 10 minutes. (This varies to 5-15 minutes by class and day depending on what else is planned and how the students' engagement is). The expectation is they will silently look at a book or magazine for the entire duration. On their reading log chart them simply record the book & page number, a rank of 1-10 & a sentence about why they ranked it the way they did. Students can choose to continue reading the same book all semester, or pick up a new one each time. Student Choice - I was AMAZED at what students read when given the choice. Day one I had two high level Spanish 1 students choose to read the Spanish versions of The Hunger Games & Harry Potter. It was AWESOME to see them challenging themselves and really enjoying what they were reading. Consistency - I am glad I established set days, so even if I was distracted and forgot, students automatically go to the reading shelf when they enter on Tuesday and Thursday. I am excited to expand and utilize my library in many ways for year to come. Do you have a class library? How do you use it? 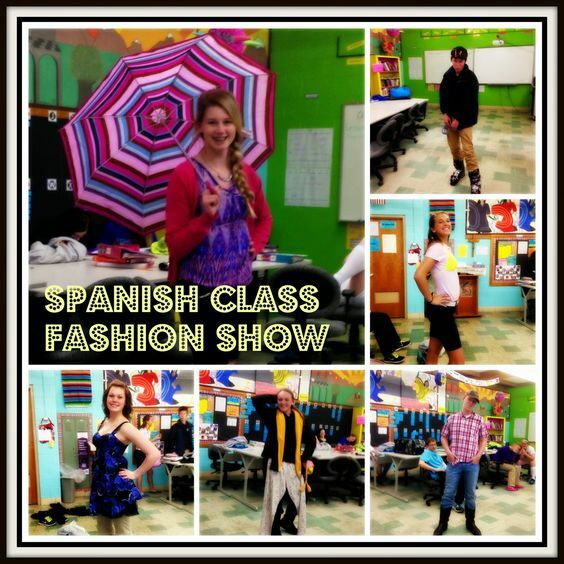 One of the most successful activities this year in Spanish 1 was our Desfile de Moda fashion show. During my first year teaching I came across an idea to have students put together fashion shows in groups as the assessment for the clothing, adjective & colors unit. 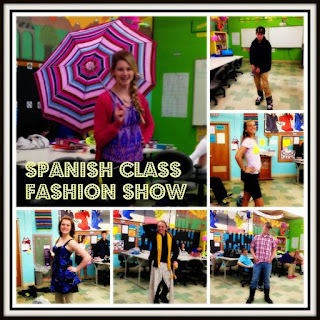 The day of the show the classroom was turned into a runway and students strutted their stuff to Spanish music while their group read descriptions of what they were wearing in Spanish. They also put together a written booklet, where the descriptions were evaluated for a presentational writing grade as well. Through this project I have seen some wonderful creativity including a "Rachet Show" of ridiculous clothing and a Halloween theme with all costumes. Students were given the option to use other models if they did not feel comfortable, so we also had Barbies and Build-a-Bears as models. The bast part was seeing their creative use of Spanish in their descriptions. Last year I just had Spanish music playing in the background, but this year students were assigned to pick their favorite songs from class to play with their fashion show. I loved seeing how excited they were about using their favorite songs from class including Adrenelina, Limbo, Danza Kuduro and many others. Overall it was a great way for students to show their creativity and get excited about Spanish class. I spent the summer before I started teaching obsessed with how I was going to decorate my classroom. I spent my childhood obsessed with the home design show Trading Spaces, where families designed a new room on a budget, repurposing and painting many things to give them a new life. Considering I was also planning a wedding at the time and got married 6 weeks into my first year of teaching (not the best life decision), I obviously needed to be as frugal as possible. My classroom started as an typical old 1950's dirty white walled room, with a mural painted by a former class, and tiny wooden desks. (Unfortunatly I do not have a picture of the room before it was painted).I was lucky that the summer I was hired the school was paying students to repaint the rooms, so I was able to choose whatever color I would like. I wanted it to be fun and inviting so I chose bright blue and green (which since I never actually saw the paint samples, turned out to be way more neon green than I expected). I then bought black chalkboard paint to repaint the profanity covered, gross, old, green chalkboard below. (The kids are doing our weekly viernes (Friday) chant, which they love. Your room does not have to be complete day one. It will always be a work in progress. Leave room to display student work & have them assist in decorating. Ask if you can raid the maintenance & storage rooms. This is where I got free paint, paint supplies, electrical tape, string & a new desk chair. Check out garage & surplus sales. I was lucky enough to find a garage sale of a retiring teacher, and once she found out I was a 1st year teacher she started giving me supplies for free. Start collecting stuff early. I got the large maps from the school library where I student taught, and bought decorations while abroad. Laminators are your friend. By laminating everything, decorations will last for years and look much more professional. There are great poster templates online that you can have printed poster size & laminated at your local copy shop. (Our CopyWorks even gives teachers half off!) I am so obsessed with laminating that I bought my own on Amazon to quickly laminate authentic resources including letter size ads and magazine articles to use in class. Have Fun! 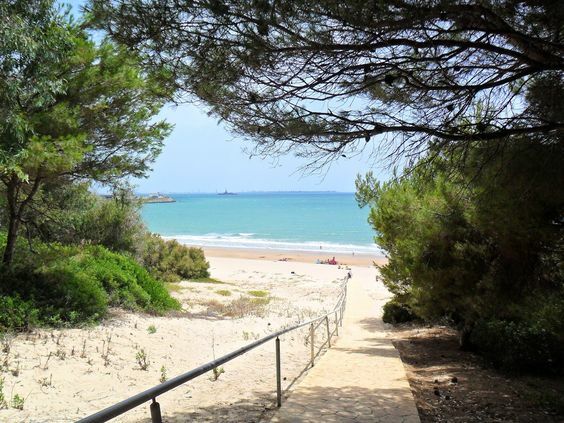 You are going to spend a lot of time here, so make it a place you enjoy spending time in and reflects your personality. After year one of teaching I knew that I somehow needed to find a way to reinforce the high frequency words, since students were always struggling with remembering words like but, if and of. Inspired by this post from the Creative Language Class discussing the 100 words that make up 50% of conversation, I knew I needed to make these little words a priority, but the question was how? While in graduate school I spent quite a bit of time subbing, mostly in elementary classes. I was impressed by how every little bit of classroom space was utilized in many elementary classes, and a common feature in many was the "Word Wall." I decided to use the 100 high frequency words as the basis for my own word wall, sorted by letter. You can download the basic 100 Word Wall here. While in theory these seemed like a great idea, I failed at actually teaching and incorporating this word wall in my daily lessons. It took up whole board all year, but did students really get as much out of it as they could have? Probably not. So today I took it down, and am trying to figure out how I can do better next year. Number - Is 100 words too many at once? Should I add a certain number each week? Content - Are these even the words I should be focusing on? Phrases - Should phrases be emphasized instead of individual words? Organization - Should they be sorted by letter? If not, how? My new favorite class routine is baile viernes (dance Friday). Every day we start class with a Para Empezar bell ringer, which I glad I started at the beginning of my first year teaching. I create a powerpoint in advance with a task for students to complete including any of the following: reading and answering questions about a Spanish meme, video, teaser to new topic, or review from previous day's lesson. Slowly I started implementing a certain activity for each day's bell ringer. 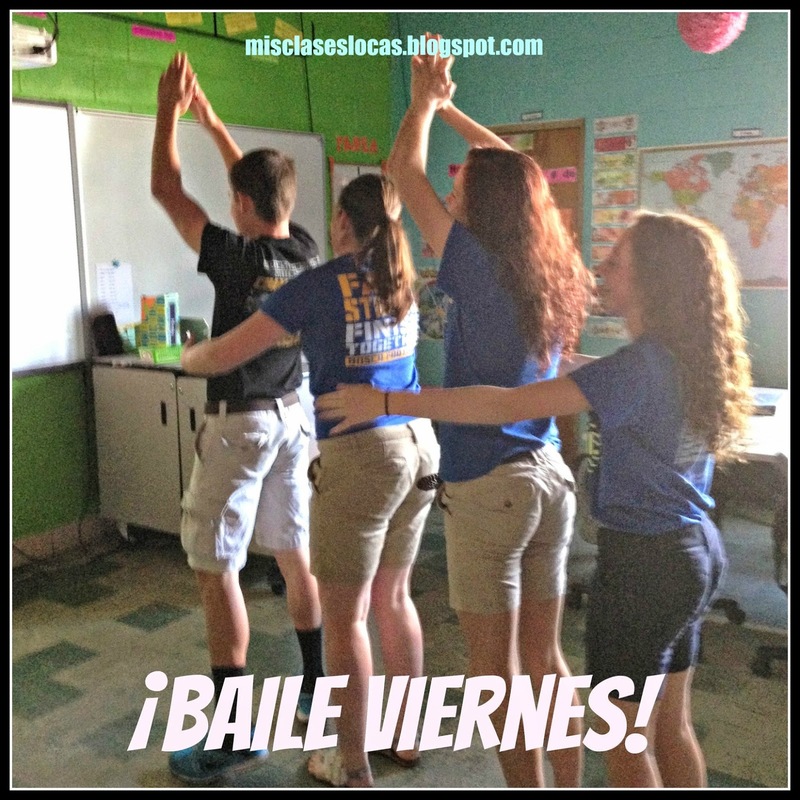 Last year my students' favorite day of the week became música miércoles (music Wednesday), where they would watch the video (or lyrics video for those with inappropriate videos) of a current or classic song in Spanish. I recently started a Youtube playlist to keep class favorites organized. Here is the powerpoint of Spanish bellringers if you are interested in implementing them. I have a lot of very active classes who started wanting to dance to the songs, so I started playing videos with choreography such as the videos below. Once it became a weekly event know as baile viernes, it was the new favorite part of the week for many. We dance right at the start of class on Friday and do a mix of Zumba, Just Dance or other choreography videos we find on Youtube. (*Note I am not a certified Zumba instructor, but do enjoy taking classes and dancing in general). Here is my baile Youtube playlist, Baile viernes powerpoint, and baile viernes part 2 if you are interested. How do you get high schoolers to dance in class you ask? First and foremost as the teacher I am the example and make a fool of myself learning the dances with them. 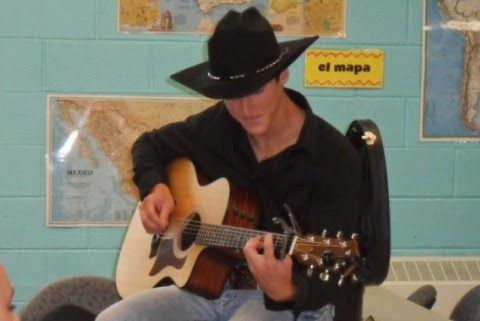 Sometimes we try a song and part way through the students decide they are over it, usually because it is too hard, so we quickly revert to one of their standby favorites, which varies by class. 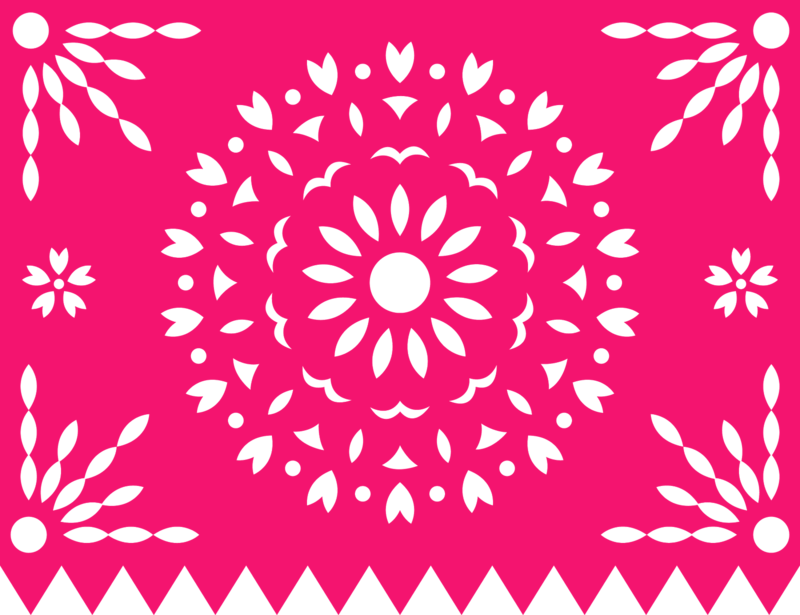 I did have once class who was never as into dancing, but most classes come in excited and shouting baile viernes! I have found it is a great way to get those Friday wiggles out at the beginning of class, especially on game days and before long weekends like today. During my first year teaching I religiously read The Creative Language Class and tried to soak up every bit of their amazing ideas. During the beginning of the school year they did a series on stations which got me hooked on the idea for my class. It was scary at first to let go of some of the control of what was going on at each station, but eventually I realized that with explicit instructions, practice, and routines it was a great way for me to be able to work on speaking practice with a small group at a time. My first attempt was a review of the chapter broken into four: Reading, Writing, Listening and Speaking, with students rotating to each for about 15 minutes. While a great idea, when looking back at what they were doing at these stations I cringe. As mentioned in my first post, I was a first year, textbook using (gasp! ), only Spanish teacher in the district. I hate to admit it but since this blog is about my failures as well as success, the stations were as follows: Reading - textbook reading at end of chapter, Writing - chapter review, Listening - textbook listening activities (for those that I actually had CDs for & were not stolen by a former student before I started who hated textbook listening enough to steal them) & Speaking - speaking practice with me (actually a worthwhile activity!). I quickly realized thanks to many wonderful bloggers, that I needed to substitute these textbook activities with authentic and relevant materials outside of the 13 year old textbook that still had VCR, answering machine and cassette player on the vocabulary lists! I knew what I needed to do but the issue was TIME. Since I have four preps with Spanish I-IV, and NO CURRICULUM I had to start somewhere. Using resources found on Pinterest the reading station became infografics and authentic reading & listening used authentic commercials. I was learning and growing. While on maternity leave this winter there was an AMAZING Twitter #langchat on using Stations in the World Language Class. It was here I had an epiphany that stations did not have to be timed with everyone going to every station for the same amount of time. I created this document for an introduction our Market Unit. (Sorry the formatting is all weird in Drive). There were 11 stations around the room and the kids were able to free float to whichever ones they wanted for however long they needed. All of the reading stations were each a "store" with authentic colorful ads where they "shopped" for what they would buy at each. The students really enjoyed being able to go at their own pace, and it was nice to be able to float around and assist students as they took charge of their own learning. I plan on continuing to learn, change and grow as I utilize stations in my class. How do you use stations in your class? As we near the end of the school year many of my classes will be presenting final projects. 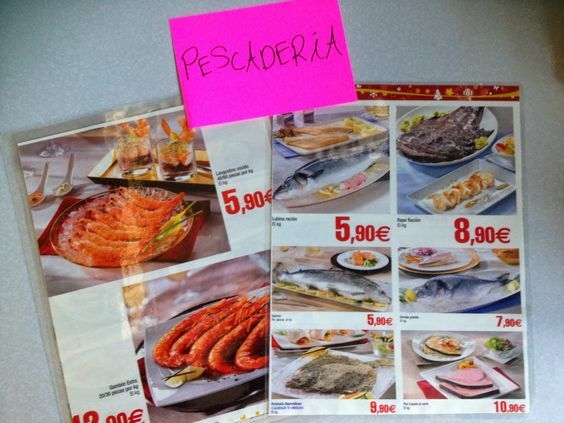 Inspired by this post from the wonderful Sara-Elizabeth Cottrell's Musicuentos my Spanish III class had the opportunity to design their own final exam project of a topic of their choice. I did this for the first time last year and had a wide range of results from amazing (a student researching Spanish guitar music and writing and performing his own original song in Spanish) to less than wonderful (little effort without following guidelines). I realized that it was my lack explanation and follow through that yielded the range of results. This year I made sure to sit down and personally discuss each student's plan, to make sure they were on the right track. I have found that they need the most assistance with the interpersonal portion, as many students are terrified to actually use their Spanish with someone they do not know. This year I made a point of having students contact those outside of class throughout the year, as to try and ease this anxiety. Presentations start next week, and I knew I needed a way to try and keep students focused while others present. I have tried a variety of things in the past including having students write a positive and negative, a question, or what they learned for each presentation. With the tiny bit of focus that most of my classes have had recently with nice weather and approaching vacation, I though they needed a little more structure this time around, so I created this simple document to keep them on track. I hope this will assist students to pay attention to the hard work their peers have put into their projects. I hope that I am blown away by the students next week! Here's to ending the year strong! ¡Bienvenidos! 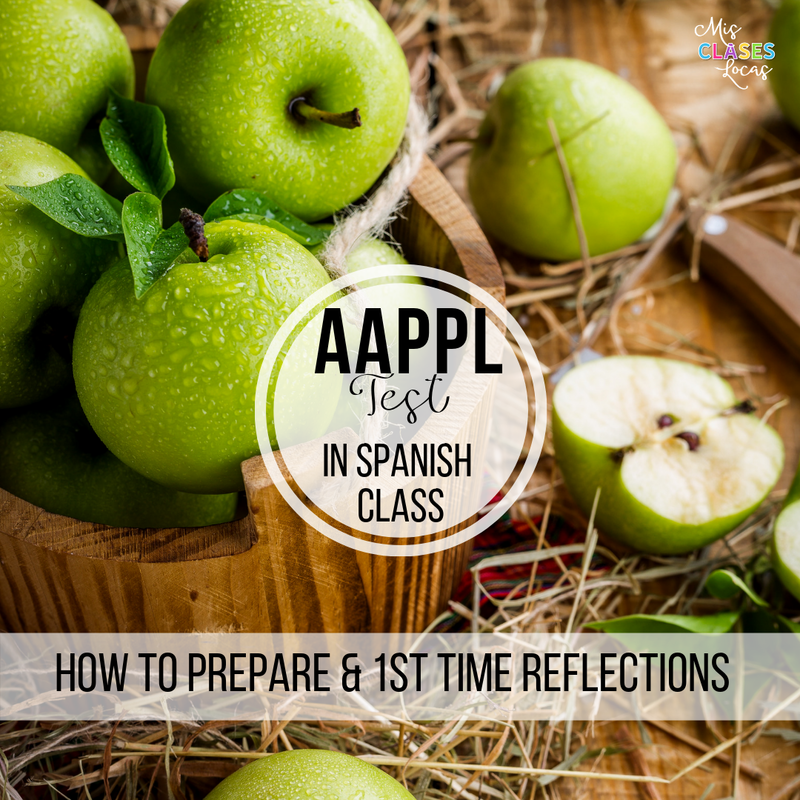 After spending the last two years immersed in wonderful Spanish teacher blogs, I have finally decided that it is time to contribute. I can honestly say I have no idea how I would have gotten through my first two years of teaching without all of the resources, advice, tips, and tricks that many have (unknowingly) and graciously shared with the public. 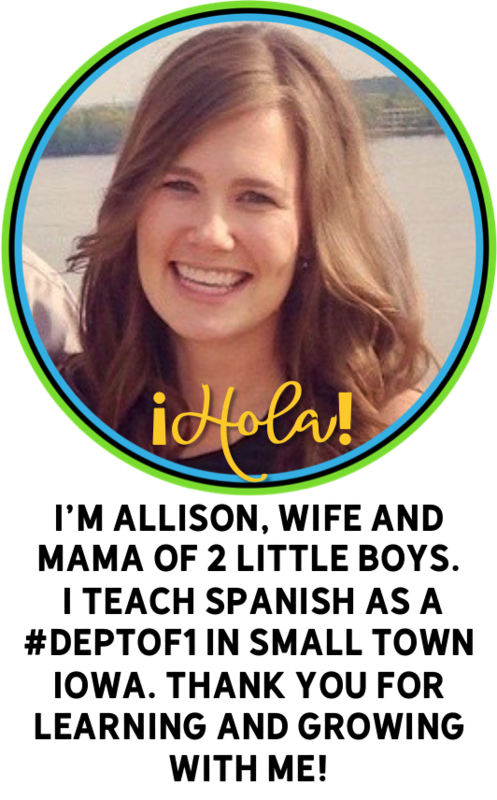 I am forever grateful for the routines and lessons that I have acquired from others blogs and more recently from the #langchat community on Twitter. I am the foreign language department in my tiny private district. I am the only foreign language teacher, teaching all levels of the only language (Spanish). Two years ago I was also the only new teacher, with no new teacher orientation or mentor program. When I asked what the curriculum was, I was handed the teachers editions of En Español 1 and En Español 2 and told Spanish I and II use book 1 and Spanish III and IV use book 2. (Not to mention the teacher's editions did not match up with the page numbers of the student editions and there were not enough books for all students). So as a desperate first year teacher, I went exploring on my new favorite website at the time Pinterest and started to build my own curriculum. It was here that I found links to the wonderful blogs and websites that literally saved my teaching career. At first these included: The Creative Language Class, Zambombazo, Musicuentos, Teaching Spanish: Thematic & AuthenticThe Comprehensible Classroom & Teachers Pay Teachers. But this list has expanded exponentially thanks to the blogs I have discovered through #langchat including some of my recent favorites: Somewhere to Share, Aventuras Nuevas, & La Clase de Sra. Dentlinger. I was very hesitant to start my own blog, as I did not feel that I had anything nearly as wonderful to contribute. But, I realized how much I have learned from my mistakes, and hope that someone else can learn from them as well. So welcome and I hope I can give back a tiny bit to the community that has helped me so much.